Leslie Nielsen was a part of my childhood as I can recall countless primary school vacation days that were filled with one of the many Naked Gun movies. His effortless comedic bumbling were done so well, that it is hard to imagine Nielsen as anyone other than Lt. Frank Drebin. For all I knew, that was who Leslie Nielsen was. Years later when I began dating my girlfriend, she introduced me to Forbidden Planet – a retro sci-fi flick she grew up watching with her father. Upon watching, I was completely surprised to see that the movie starred Leslie Nielsen. Like I said, my knowledge of his actor career was just that he was in the Naked Gun movies. While I, and the world for that matter, will most certainly remember Leslie Nielsen for the legacy that is Naked Gun, I am glad I had the chance to know him as Commander J.J. Adams. 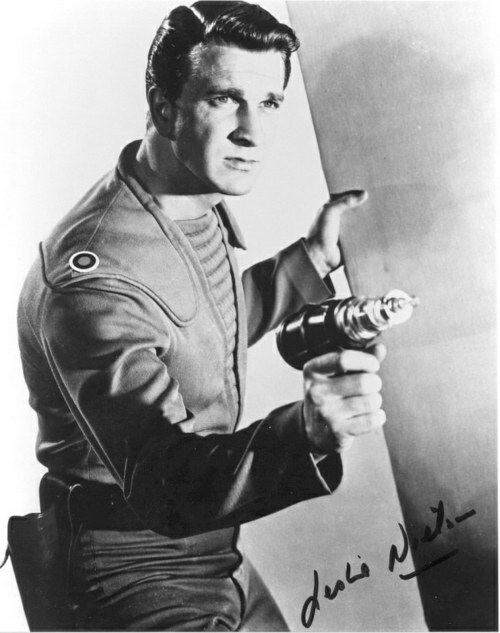 Leslie Nielsen. You will be missed.